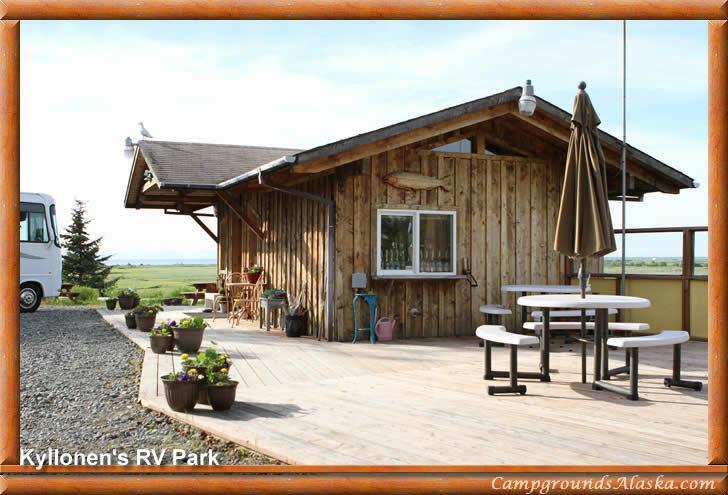 Kyllonen's RV Park in Anchor Point Alaska offers full hookups and pull through campsites. Kyllonen's RV Park is a full service campground conveniently located in the heart of Alaska's top salmon and halibut fishing grounds in Anchor Point, AK. Directions — Located between Ninilchik and Homer off of the Sterling Highway in Anchor Point, AK. Follow Anchor Point Road along the Anchor River to the sign for Kyllonen's RV Park just before you reach the salt water. It's hard to find an RV park closer to the action than Kyllonen's RV Park in Anchor Point AK.